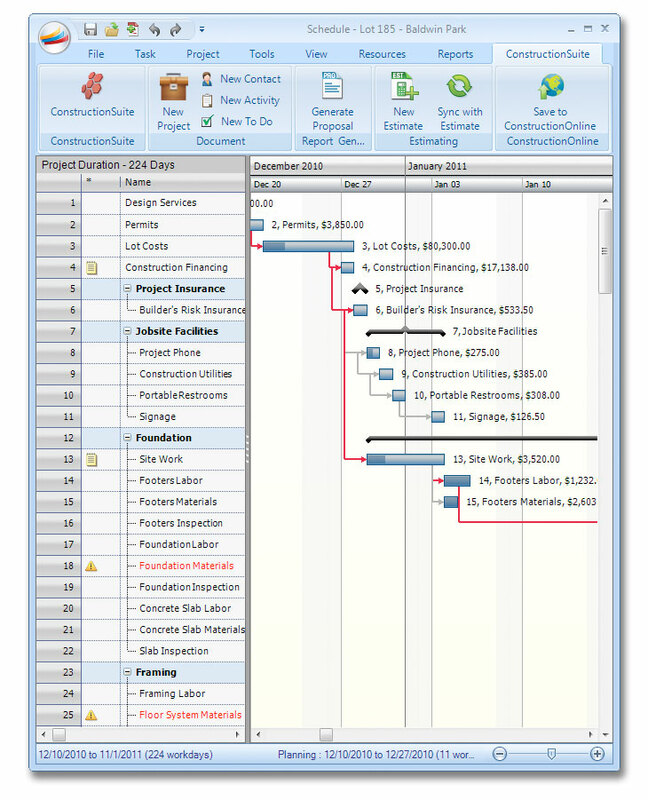 For successful project management, you need a system that does more than just store a few numbers or dates for your projects. You need a system that can take your construction estimating and scheduling data and enable you to easily extract valuable information for you and your company. A direct result of feedback from a few of the tens of thousands of UDA clients, the Cash Flow Reporting system delivers a real-time projection of your company's incoming and outgoing expenses. 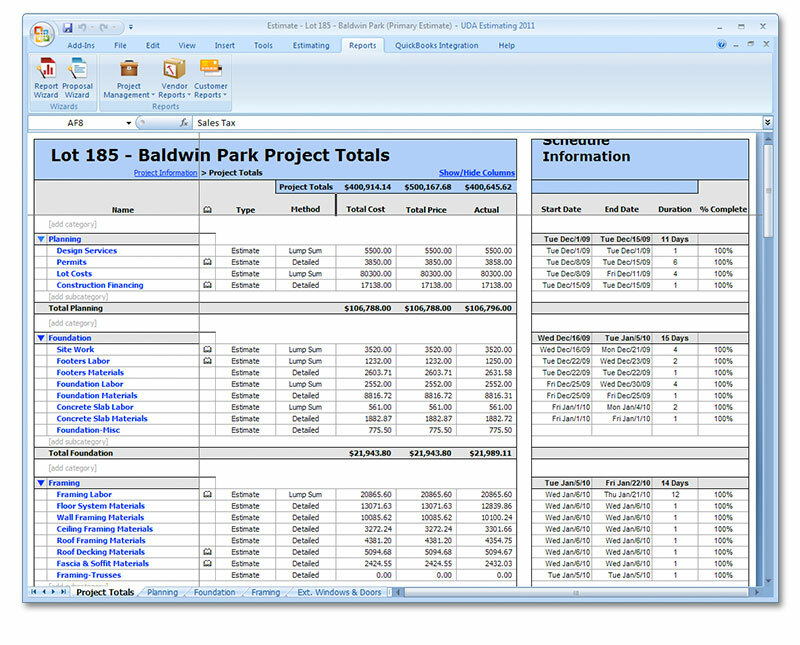 Merge construction estimating and scheduling information for comprehensive reporting. 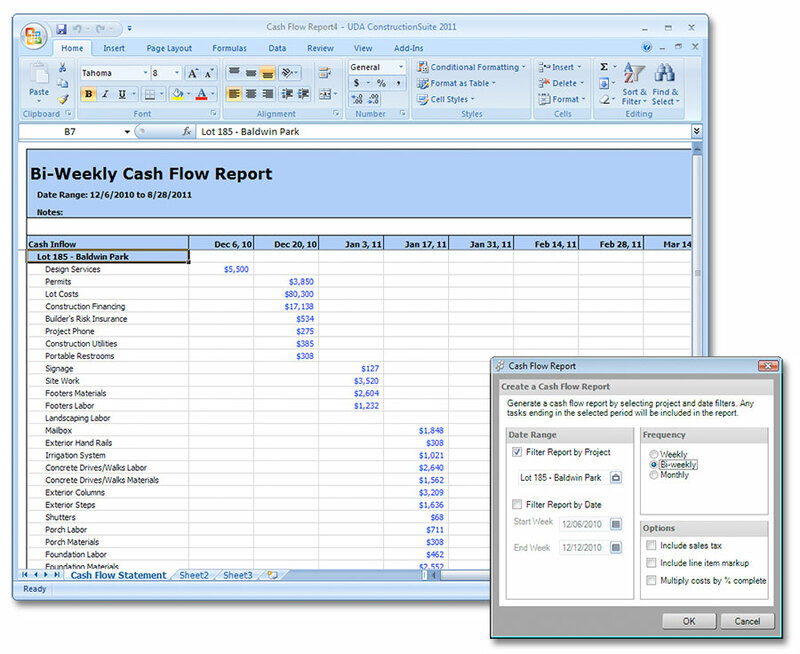 Take control of your company's financial state with advanced reporting options. Project profitability for single or multiple projects. Select date range and designate time increment such as weekly, bi-weekly, or monthly. View financial inflows and outflows. With UDA ConstructionSuite, bi-directional integration between UDA Construction Estimating software and Scheduling fueled by the powerful ConstructionSuite database turns your project data into a complete cash flow projection that you can use to keep your finger on the pulse of your company's financial health. Get the information you need to make optimal financial decisions with Cash Flow Reporting, available in Premier, Corporate, and Network editions of ConstructionSuite.